Veeam® Software delivers solutions that enable 24.7.365 Availability and visibility for any app, any data on any cloud. By leveraging virtualization, storage and cloud technologies that enable the modern data center, Veeam helps organizations save time, mitigate risks and dramatically reduce capital and operational costs, helping customers achieve their current and future business goals. 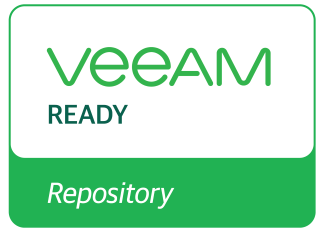 The Veeam Ready Program provides a solution qualification and testing process to help Veeam Alliance Partner Program members meet Veeam standards. 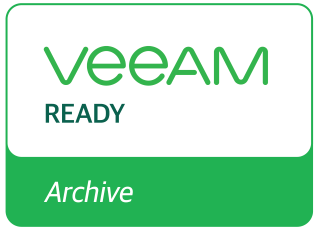 Achieving Veeam Ready status designates the highest level of qualification and testing for storage products by our established partners. 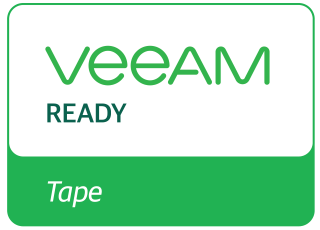 Veeam Ready testing covers three categories, each with unique testing requirements: Veeam Ready — Repository, Veeam Ready — Archive and Veeam Ready — Tape. For information on testing requirements, email veeamready@veeam.com. Veeam also offers a Veeam Integrated category for partner solutions jointly developed with Veeam. For more information on Veeam Integrated solutions, please read the Veeam Integrated FAQ. The Veeam Ready database provides a list of all partner solutions that have successfully passed Veeam’s testing criteria. Solutions are grouped by company name, Veeam Ready classification, and more. Use the above filters to check if an Alliance Partner's solution has a Veeam Ready category.